Have you ever had a hard time hearing what a radio personality was saying? How about listening to the radio and knowing the jock was voice-tracked? Maybe the levels were off, or the DJ sounded too muddy. In radio, audio is your medium. There are no visuals. All content is sound-based, making the quality of that audio paramount. 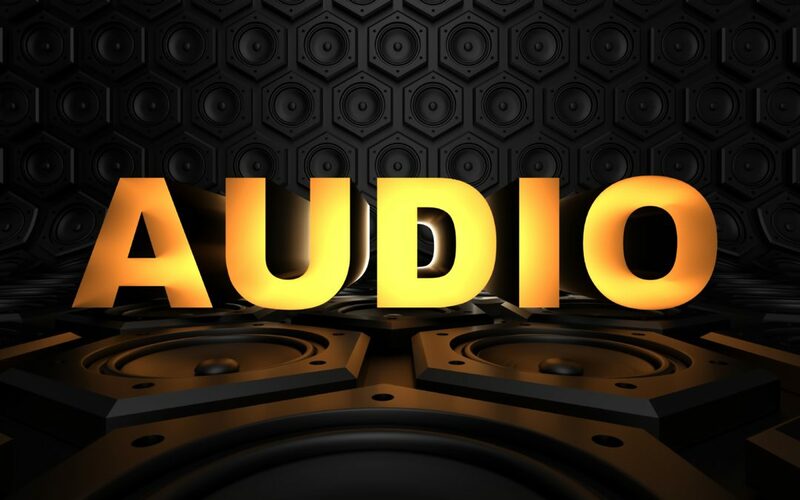 Radio stations may have the best on-air personalities and content, but if the audio sounds dull or loose, your listeners are more inclined to switch the station. A prime example of sloppy audio is when a song is trailing, and the listener can’t make out the jock’s important commentary. Details matter. Those loose sound elements and hard-to-hear segments are costing us. Here are three simple, but effective ways for all stations to improve their sound quality. And while some may sound intuitive, many radio stations are missing the mark. 1. Roll off the low end on the mics. I know many jocks enjoy hearing the tone of their voice. But rolling off the low-end allows listeners to actually HEAR the jocks over the heads and tails of songs, music beds, and sound effects. After all, most people are listening to us in their cars. We are competing with background noise from the road or kids in the backseat. So, while this may seem obvious, let’s focus on creating clear, crisp audio for our listeners. I encourage you to read through how NPR gets its signature sound. True, they are using Neumann U87s, but the secret is less about the mic and more about how they roll off the low end. 2. Request higher quality audio files. When you begin with low quality, you end up with low quality. You can tweak a couple of things, but you can’t bring back clarity and intelligibility. As an audio guy, I prefer uncompressed wav files. But I know most people just send mp3s. So, whether it’s voice tracks or spots, request mp3s at a bit rate of 320 kbits/sec, no less than 192 kbits/sec. Some may push back on sending such large files. Some claim the file size doesn’t make a difference in the sound. But I’d argue that you absolutely CAN notice a difference. A 60-second spot at 192 kbits/sec is about 1.2MB (megabytes) in size. At 320, that same spot is 2.4MB. If an additional 1.2MB is going to fill up your hard drive, you might have other problems. The lower the bit rate, the lower the quality of the audio. Cymbals become sloshy, and voices lose their clarity. With radio, you are already fighting against signal loss and interference. But my guess is, even if you have a low power signal and not a 50,000-watt flamethrower, you still want your audio to sound as clear and crisp as possible. 3. Rely on humans, not automation. A human must touch every piece of audio that plays on the air. In particular, you need a human to run sound if you are a smaller station with tracked shows. And these humans must do more than drag and drop audio files. Audio levels vary when you receive files from clients or syndicated jocks. If you drag and drop those files into cart numbers and let the automation clean it up, the result will be loose, muddled audio. When you don’t set the pulses or triggers manually, you are at the mercy of whatever dead air is at the end of the audio. Your automation may automatically correct some silence, but my experience is people trump computers. Another issue is letting the on-air processing take care of the levels. When you rely solely on automation, the overall sound will continuously fluctuate as the processing adjusts to each audio element. Same with music. Just by having a human load the audio into your system, they can pay attention to the levels and adjust accordingly. Think of them as quality control. When a jock is live on the air, they control when songs begin and when she starts and stops talking. Don’t we always want to portray a live show? If your station is receiving tracks from a non-live jock, have your audio person load their tracks in like they were a jock live on the air. Have their tracks start right after the downbeat of that last song and lead right up to the post of the next song. Put in the effort to make a tracked show sound as tight and fluid as a live show. Too many stations still struggle with dead air. A song is ending. The singer’s last note is bellowing, and as it fades out, a tracked voice announces the artist’s name and song title. A long pause follows. Then listeners hear an abrupt switch to a pre-recorded voice saying the station’s name. Another moment of silence. Finally, after all the stops and starts, the jock gets on and talks. We can avoid these unprofessional sequences if we have humans paying attention to dubbing the audio in and tightening up when elements start and stop. Don’t be lazy with your audio. It’s your product. Raise the bar. Make your audio sound the best it can sound. Don’t let listeners change the station before a poignant or funny thought. People can sense the difference in quality audio. They might not be able to put their finger on it, but they know when something sounds cheap instead of polished. Luke Broersma has degrees in music and audio recording. He worked at K-LOVE and Air1 for 15 years as a multimedia producer, making spots and creating videos. He currently works at CURE International, continuing to make spots for radio, and video documentaries. A winning station always started with a winning sound. My job was to give them that sound and it always started with source material. Remember, we have to deal with the FCC. Therefore we hard-limit and clip to conform to the 75 microsecond pre-emphasis curve and modulation limits. Give us ear candy as clean as you can make it in 24 bit / 48 kHz (the default setting of Protools) and our promise is that we will be as gentle with it as we can so that the listener will want to download or buy. Second – You have to start somewhere. Demand 24 bit / 48 kHz unmastered files from the record companies. As you add 24 bit un-hard limited and clipped songs, they will sound much better than the older stuff but eventually the newer will overtake the older. We still play Casting Crown’s “Praise you in the Storm” and “Life Song” which sound really bad compared to a new Toryn Wells or TobyMac, but in the grand scheme of things aren’t played that often anymore to matter. As far as your processor, you want to tune for minimum intermodulation distortion or IMD. The ear can handle a small of harmonic distortion or (THD) as the harmonics produced are in a musical relation to the fundamental. However, the brain cannot process IMD as these are mathematical products, generated sum and difference frequencies bare no musical relationship to the fundamental – it’s just noise. One accomplishes this by putting the attach and recovery on slower settings and watch your clipping— Especially the bass clipper. If the record companies are guilty of one thing – its generating large amounts of IMD with this rush to make things loud by using hard limiting and clipping not understanding that there is a price to pay for doing so. They killing themselves… and us! You are smart to use your ears and not add songs that may have the slightest IMD. Women are especially are very sensitive to any presence of IMD and simply reach over and turn the radio off. In my opinion, for radio to be relavent in the future, one MUST sound better than anything a listener can stream, download or buy.